You are getting 200 new style cardboards. They are used but in good shape. M1 30 Cal. Carbine Bandoleers- 10 Ct.
You are getting 10- M1 .30 cal. carbine bandoleers. 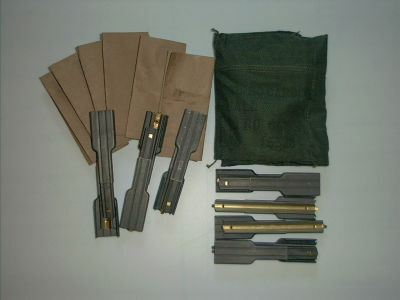 New Style Carbine Cardboards 18ct.